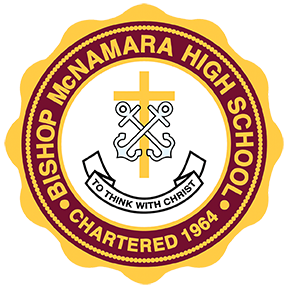 Your gift moves us closer to our yearly goal to have 100% of our employees participate in annual giving that allows Bishop McNamara to apply for additional funding sources such as grants and monies given by charitable foundations. On behalf of Bishop McNamara High School and the students we collectively serve, we appreciate your continued support. We look forward to an exciting future together because of your generosity as someone who values our mission to educate hearts and minds in a dynamic, inclusive Catholic school community rooted in the Holy Cross tradition.